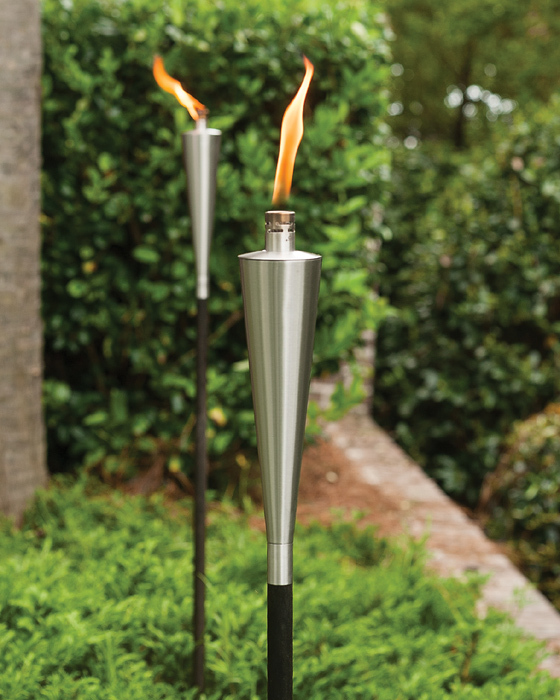 Light the way with this stainless steel torch mounted on a beechwood stake. The torch has a burn time of 13 hours when filled with 10 ounces of standard torch fuel (not included). Torch: 2.75”DIA. x 12.5”H; total height 58”.